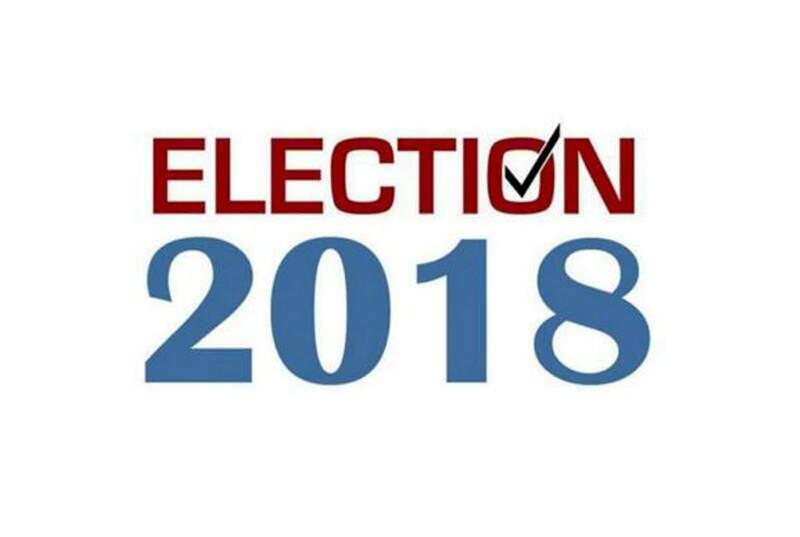 Candidates running for local and state elected offices filed campaign finance reports Tuesday to disclose how much they raised and spent from July 22 to Oct. 11. In the county, the ballot will feature three contested races – for sheriff, treasurer and one seat on the Board of County Commissioners. Two legislative seats are up for grabs: State House District 59 and Senate District 6. SheriffIncumbent La Plata County Sheriff Sean Smith raised about $20,000 during the reporting period. Nearly all the contributions were from private donors with the exception of a $1,000 donation from the La Plata County Democratic Party Central Committee and a $500 donation from the Fraternal Order of Police. Notable contributions from private donors include a $2,000 donation from Larry Foukas, who works in law enforcement in Durango, and $990 from Ken Carpenter, a Bayfield resident. Smith, a Democrat, spent about $18,300 during the reporting period on his campaign, mostly associated with advertising costs. For the entire campaign, Smith has raised about $25,270, spent about $21,900 and has a balance at the end of this reporting period of about $3,360. Challenger Charles Hamby, a Republican, raised about $10,500 during the reporting period, with a $3,600 contribution from the La Plata County Republican Central Committee. Hamby spent about $14,500 during the reporting period, mostly on advertising. In total, Hamby has raised about $41,200, spent about $39,200 and has a balance at the end of this reporting period of about $1,900. Challenger Dean Mize, who is running as an unaffiliated candidate, raised about $400 during the reporting period. He spent $985 on advertising costs and office supplies. In total, Mize has raised about $11,785, spent $4,761 and had a balance at the end of the reporting period of about $7,023. TreasurerIncumbent La Plata County Treasurer Allison Aichele raised about $3,115 this reporting period, which includes $2,000 from the La Plata County Democratic Party Central Committee. During the reporting period, Aichele spent about $1,400, of which $1,365 went to purchasing postcards. In total, Aichele has raised $29,580 this election. Most of that total, however, is associated with Aichele fixing filing mistakes in her 2014 campaign. She has spent $2,226 and had a balance at the end of this reporting period of about $2,170. Challenger Colton Black, a Republican, raised about $8,380 this reporting period, including a $4,000 donation from the La Plata County Republican Central Committee and a $1,000 donation from Durango resident Tonya McKnight. Black spent about $6,500 this reporting period, mostly on advertising and fundraising expenses. In total, Black has raised about $15,100, spent about $11,700 and had a balance at the end of this reporting period of about $3,380. CommissionerIncumbent Republican Brad Blake raised about $17,616 this reporting period, with a notable contribution of about $3,600 from the La Plata County Republican Central Committee. Notable contributions from private individuals include a $1,000 donation from Alan Suslow, a developer in Seattle and $1,000 from Cameron Winters, a developer in Durango. Blake spent about $6,000 this reporting period, mostly on website design work, signs, banners, T-shirts and advertising. For the entire election, Blake has raised about $28,000, spent about $8,000 and had a balance at the end of the reporting period of about $19,900. Challenger Clyde Church, a Democrat, raised about $5,000 this reporting period, with a notable contribution of about $1,800 from the La Plata County Democratic Party Central Committee. Notable contributions from private individuals include a $1,000 donation from Howard Mock, a retired contractor based in Durango. Church spent about $5,000 this reporting period, mostly on signs and advertising. In total, Church has raised about $9,850, spent about $8,600 and had a balance at the end of the reporting period of about $1,250. House District 59Incumbent Democrat Barbara McLachlan raised about $5,900 this reporting period. Notable contributions include: Angela Williams Leadership Fund, Blueflower Fund, Colorado Physicians for Mental Health, Colorado Ski County USA PAC, Kutack Rock Limited Liability Partnership Political Action Committee, Voices for Choice Small Donor Committee, Building Bridges for Colorado, Colorado Democratic Party and Anadarko Petroleum Corporation Political Committee Colorado. McLachlan spent about $25,936 during the reporting period, mostly on advertising, travel expenses and wages to employees. For the entire election, McLachlan has raised about $94,000, spent around $92,571 and had a balance at the end of the reporting period of about $23,000. Challenger Paul Jones, who is running as an unaffiliated candidate, raised about $2,255 this reporting period, all from private donors. Jones spent about $1,280. In total, Jones has raised about $26,200, spent about $15,340 and has a balance at the end of this reporting period of about $10,860. Candidates for Senate District 6 and House District 59 filed financial reports covering Sept. 29 to Oct. 10. Senate District 6Incumbent Republican Don Coram raised about $5,250 this reporting period. Notable contributions include: Atmos Energy Corporation PAC, Committee for the American Dream, Farmer Employee & Agent PAC, Greenco PC, Healthier Colorado Small Donor Committee, Home for All Coloradoans Committee, PDC Energy Inc. PAC, Whiting Petroleum Corp. Political Action Committee, Anadarko Petroleum Corp. Political Committee Colorado, Doctors Co. Colorado PAC and Colorado Credit Union Political Action Committee. Coram spent about $140 during the reporting period. In total, Coram has raised about $27,400, spent about $22,700 and has a balance at the end of the reporting period of about $14,600. Challenger Guinn Unger, a Democrat, raised about $4,300 during this reporting period from mostly all private donors with the exception of a $200 or so donation from the La Plata County Democratic Party Central Committee. Unger spent about $14,800, mostly all on advertising. In total, Unger has raised about $26,900, spent about $26,400 and reported at the end of this reporting period a negative balance of about $8,500. Unger told The Durango Herald on Tuesday the negative balance is attributed to an “accrued expense” – an expense his campaign paid for, but the payment, in this case on a credit card, is not due yet.